Researchers at the Ruhr-Universität Bochum in Germany have debunked the theory that the left brain hemisphere is dominant in the processing of all languages. To date, it has been assumed that this dominance is not determined by the physical structure of a given language. However, the Bocum biopsychologists have demonstrated that both hemispheres are equally involved in the perception of whistled Turkish. Dr. Onur Güntürkün, Dr. Monika Güntürkün, and Dr. Constanze Hahn report on this in an open-access article in the August 17, 2015 issue of Current Biology. The article is titled “Whistled Turkish Alters Language Asymmetries.” The perception of all spoken languages; including those with clicks, written texts, and even sign language; involves the left brain hemisphere more strongly than the right one. The right hemisphere, on the other hand, processes acoustic information via slow frequencies, pitch, and melody. According to the current commonly held opinion, the asymmetry in language processing is not determined by the physical properties of a given language. "The theory can be easily verified by analyzing a language which possesses the full range of physical properties in the perception of which the right brain hemisphere is specialized," says Dr. Güntürkün. "We can count ourselves lucky that such a language exists, namely whistled Turkish." The Bochum team tested 31 inhabitants of Ku?köy, a village in Turkey, who speak Turkish and whistle it as well. Via headphones, these inhabitants were presented either whistled or spoken Turkish syllables. In some test runs, they heard different syllables in both ears, in other runs, the same syllables. They were asked to state which syllable they had perceived. Neonates Can Be Tested Immediately and Simultaneously for 22 Genes Associated with Diabetes; “Revolution in Healthcare” Represents the “Future for Many Other Rare Diseases in All Specialties of Medicine"
Over a 10-year period, the time that babies receive genetic testing after being diagnosed with diabetes has fallen from over four years to under two months. Pinpointing the exact genetic causes of sometimes rare forms of diabetes is revolutionizing healthcare for these patients. Babies with diabetes are now being immediately genetically tested for all possible 22 genetic causes, while previously they would only get genetic testing years after diabetes was diagnosed and then the genes would be tested one at a time. Crucially, this means that the genetic diagnosis is made early, giving the doctor information on how best to treat the patient and inform them of the medical problems the patients are likely to develop in the future. This is a paradigm shift in how genetic testing fits in with the patients' clinical symptoms. In the past, symptoms were used to select which gene would be tested. Now, the early comprehensive gene testing means that the genetic result predicts clinical features that have not yet developed. This new paradigm means doctors can anticipate the likely problems for their patients and put the appropriate care in place to reduce their impact. The Wellcome Trust- and Diabetes UK-funded study was published online on July 29, 2015 in an open-access article in The Lancet by a team led by the University of Exeter Medical School. The article reports the results of genetic testing for the 22 known genetic causes of neonatal diabetes in 1,020 patients over the past ten years. The article is titled “The effect of early, comprehensive genomic testing on clinical care in neonatal diabetes: an international cohort study.” During this 10-year period, the time for genetic testing after diabetes has fallen from over four years to under two months. 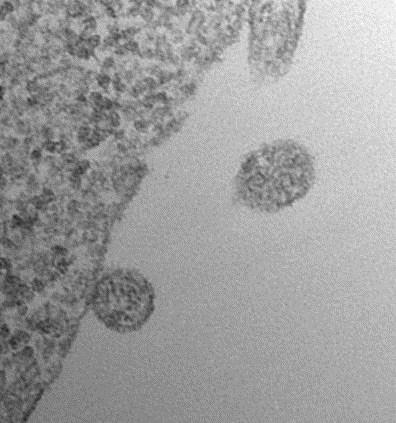 Researchers at Loyala University in Chicago have shown that exsomes isolated from invasive bladder cancer cell-conditioned media, or from patient urine or bladder barbotage samples, play a role in epithelial-to-mesenchymal transition (EMT), which is a biological process in which epithelial cells lose their epithelial characteristics and acquire a migratory, mesenchymal phenotype. In EMT, epithelial cells lose their cell polarity and cell–cell adhesion and gain migratory and invasive properties to to become mesenchymal stem cells. EMT has been implicated in the initiation of metastasis for cancer progression. The Loyola researchers conclude that their research represents both a new insight into the role of exosomes in transition of bladder cancer into invasive disease, as well as an introduction to a new platform for exosome research in urothelial cells. The new Loyala work was published online on August 17, 2015 in an open-access article in Oncogenesis. The article is titled “Urothelial Cells Undergo Epithelial-to-Mesenchymal Transition after Exposure to Muscle Invasive Bladder Cancer Exosomes.” According to the Loyala authors, “Bladder cancer is the fourth most common noncutaneous malignancy in the United States. Non-muscle-invasive bladder cancer accounts for approximately 70% of newly diagnosed bladder cancer cases, with the remaining 30% being muscle-invasive bladder cancer (MIBC). Although non-muscle-invasive bladder cancer patients have a high survival rate, the recurrence rate is high, and 10–20% of these patients progress to MIBC. High-grade serous ovarian cancer often responds well to the chemotherapy drug carboplatin, but why it so frequently comes back after treatment has been a medical mystery. Now a team of UCLA researchers has discovered that a subset of tumor cells that don’t produce the protein CA125, a biomarker used to test for ovarian cancer, has an enhanced ability to repair their DNA and resist programmed cell death — which allows the cells to evade the drug and live long enough to regrow the original tumor. It’s that regenerative ability and their resistance to carboplatin therapy that make the cells so dangerous, said Dr. Deanna Janzen, the study’s first author, and a Senior Scientist in the G.O. Discovery Lab at UCLA. The study, which appeared online on August 3, 2015 in an open-access article in Nature Communications, showed that pairing the carboplatin chemotherapy with an experimental drug eliminates the deadly population of cells believed to be responsible for repopulating the tumor. 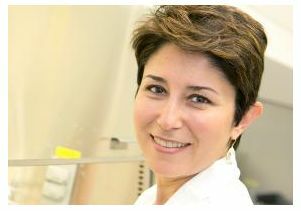 The additional drug, birinapant, sensitizes the CA125-negative cells to the chemotherapy by restoring apoptosis, or programmed cell death, said Dr. Sanaz Memarzadeh (photo), a senior author of the study and a UCLA gynecologic cancer surgeon. The open-access Nature Communications article is titled “An Apoptosis-Enhancing Drug Overcomes Platinum Resistance in a Tumour-Initiating Subpopulation of Ovarian Cancer.” Combining chemotherapy and birinapant significantly improved disease-free survival in laboratory models of human ovarian cancer compared to using either therapy alone. This suggests that targeting the CA125-negative cells may improve outcomes in these high-grade serous cancers, the most common subtype of ovarian cancer, said Dr.